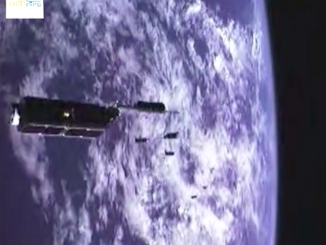 India’s space agency has released stunning video captured by cameras mounted on-board a rocket that launched this week with 104 satellites. Watch the spectacular replay of the launcher’s upper stage deploying a record number of payloads 300 miles above Earth. 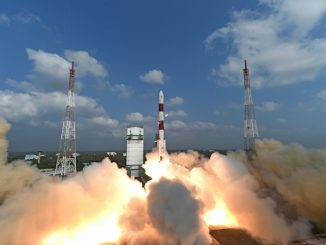 An Indian rocket deployed 104 spacecraft into orbit 300 miles above Earth on Tuesday, the largest pack of satellites ever launched on a single booster. 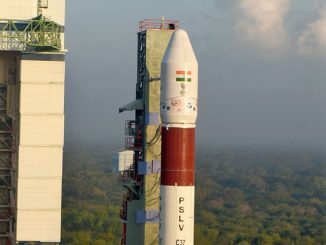 India’s Polar Satellite Launch Vehicle is scheduled to fire into orbit late Tuesday, U.S. time, with 104 satellites on-board, setting a record for the largest flock of spacecraft ever launched on a single rocket.